"I like people who have beautiful dreams." He is the guardian of the "World of Dreams," a young boy who has the power to transform into a Pegasus. The Golden Crystal is embedded in the Pegasus' horn. 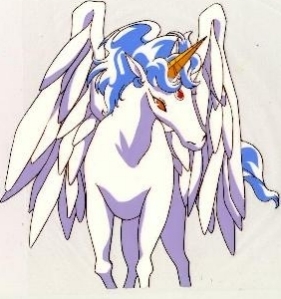 In SMSS he is captured by Nepherenia and trapped in his Pegasus form. He manages to partially escape from his prison to meet Chibiusa. They become friends, then eventuallly fall in love. He's the one that gave the senshi their super transformations. He returns to his homeworld at the end of SMSS. The romance between him and Chibiusa could possibly be the plot for a new Sailor Moon series (but that's only a rumor so far).